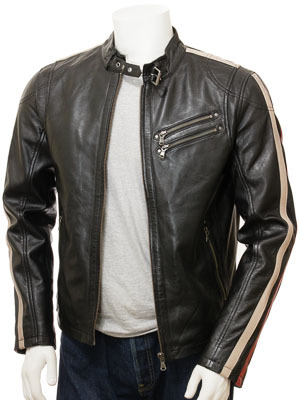 A retro cafe racer style, leather biker jacket in black. 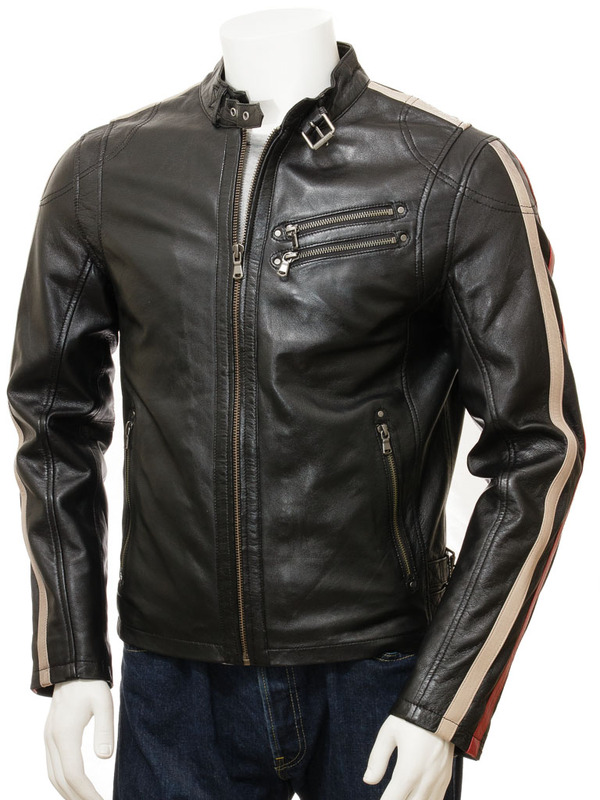 Referencing those classic motorcycle jackets of the 1950's this design is just evergreen. 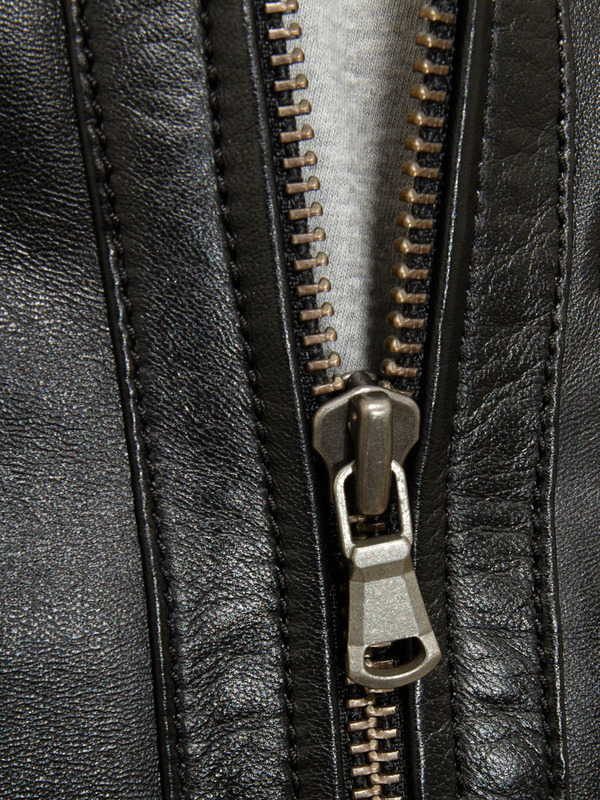 It features an exposed YKK zip that extends up to a short stand collar with a buckled strap fastening at the throat. 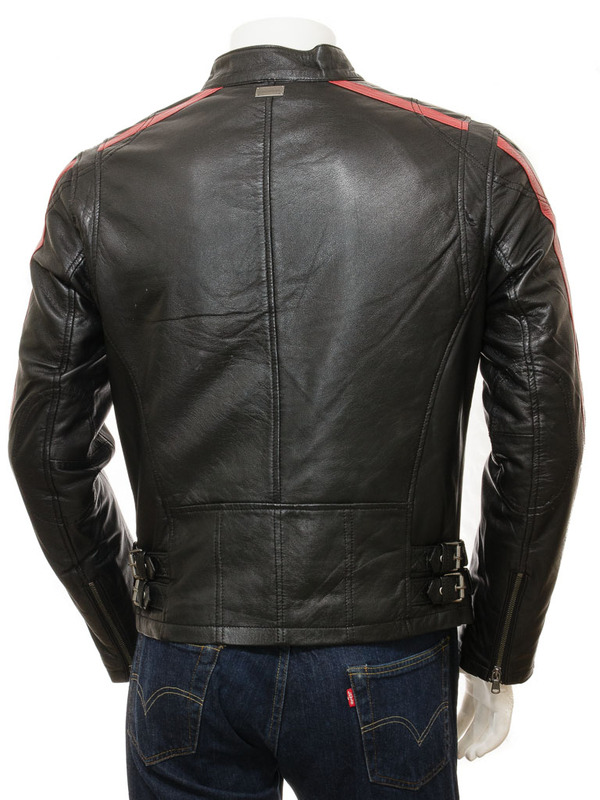 The sheep nappa hide has soft sheen while the body incorporates two angled zipped pockets on the left chest and another two on the waist. 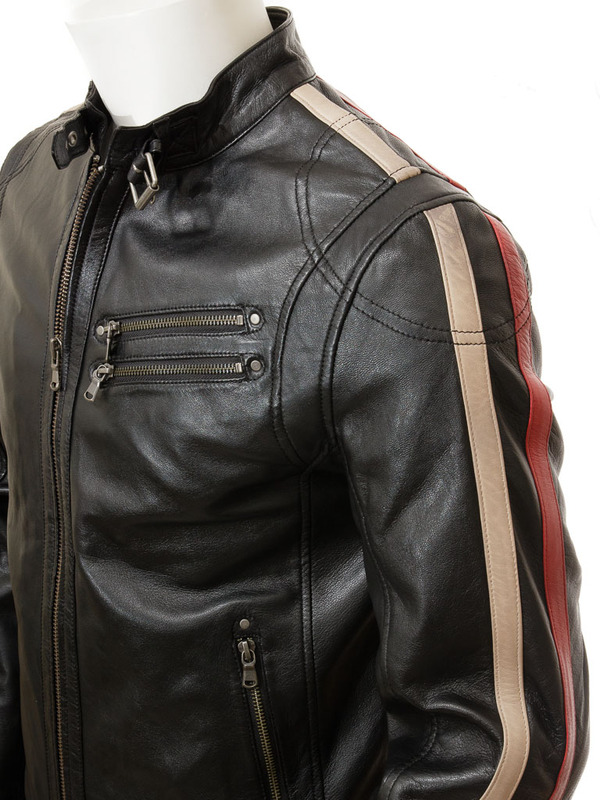 Coloured leather stripes on the shoulder and sleeve lead down to zip gauntlets at the cuff while twin, buckled side seam adjusters allow you to dial the fit in perfectly. 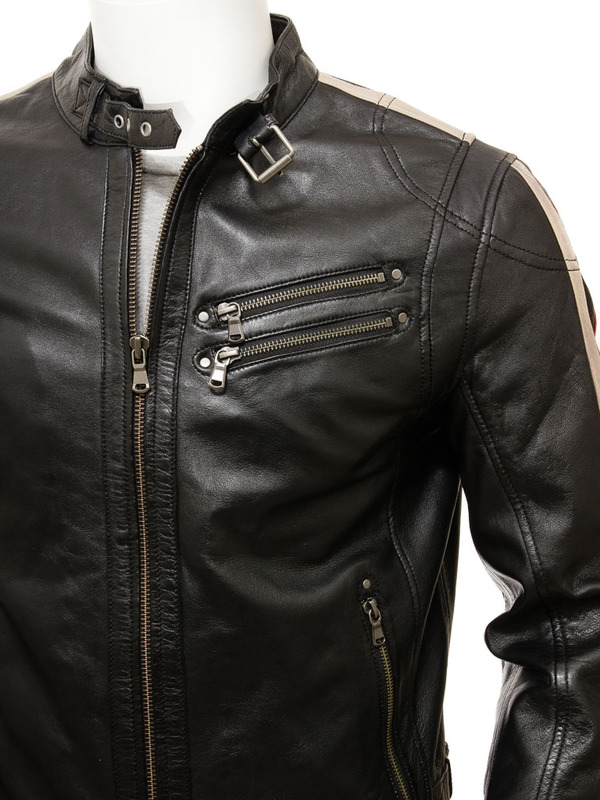 On the inside the jacket is fully satin lined with two internal pockets, one zipped and the other buttoned for security.